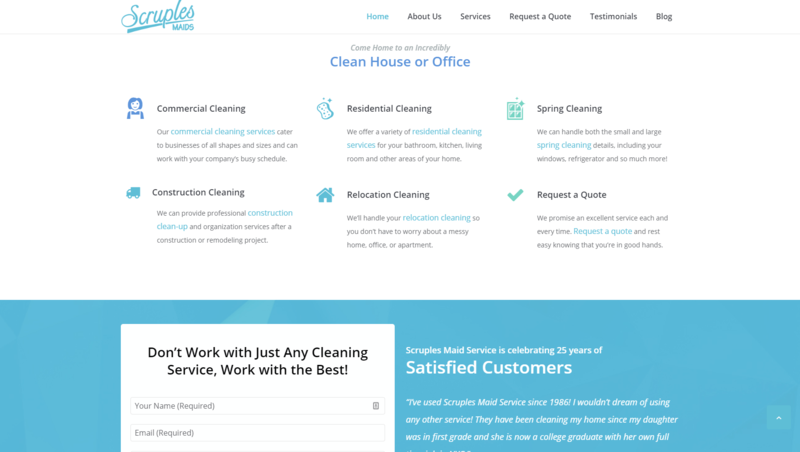 Scruples Maid Service is a cleaning serviced based in Lorain County, Ohio. They service areas such as Amherst, South Amherst, Bay Village, Avon Lake, Elyria, Huron, Vermilion, and Sandusky. After 30 years of business, their insured and professionally trained maids have won the trust and business of neighborhoods all around. Scruples’ old website dated all the way back to 2005, and it no longer provided a good user experience. 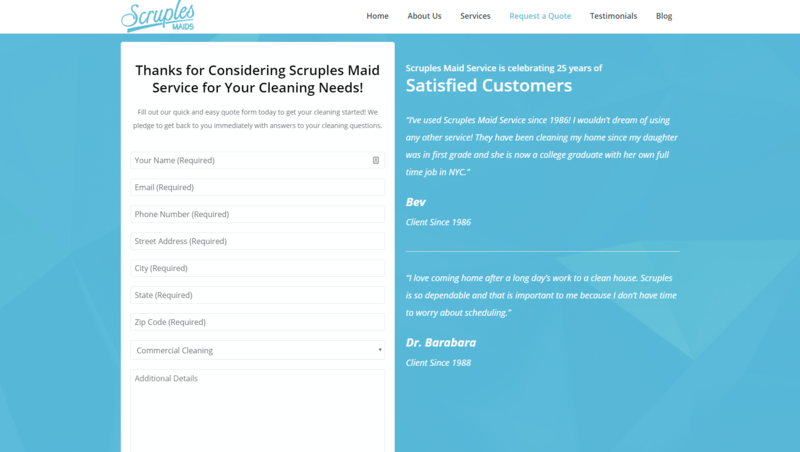 After seeing Scruples’ website, customers were put off by its datedness and would go elsewhere. 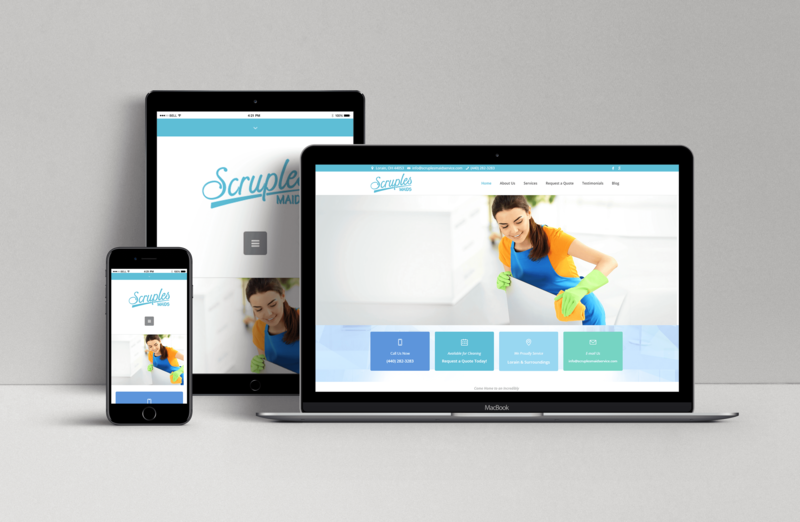 Scruples wanted to redesign their site to give it a more modern feel. They also wanted it to be easy to use on mobile devices. 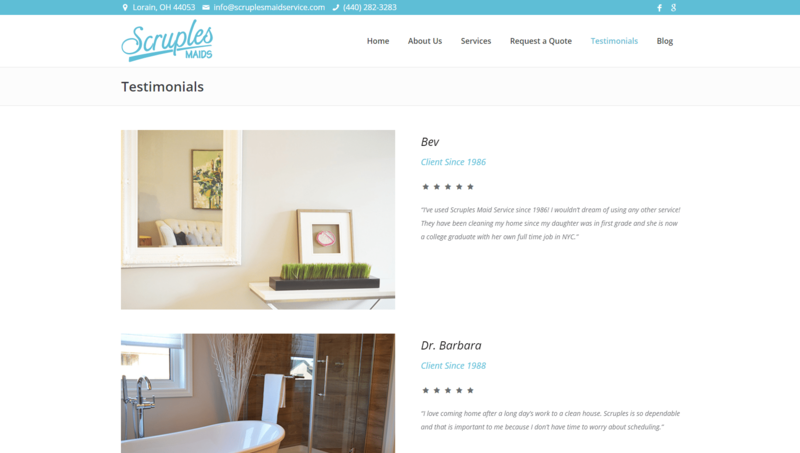 webFEAT completely remade Scruples site in WordPress. 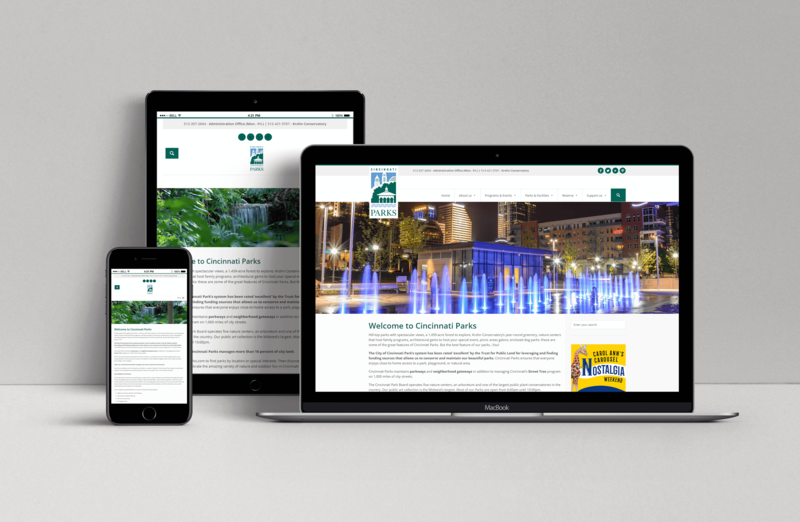 Their site is now mobile, responsive, and makes it easy for users to get all the information they need. 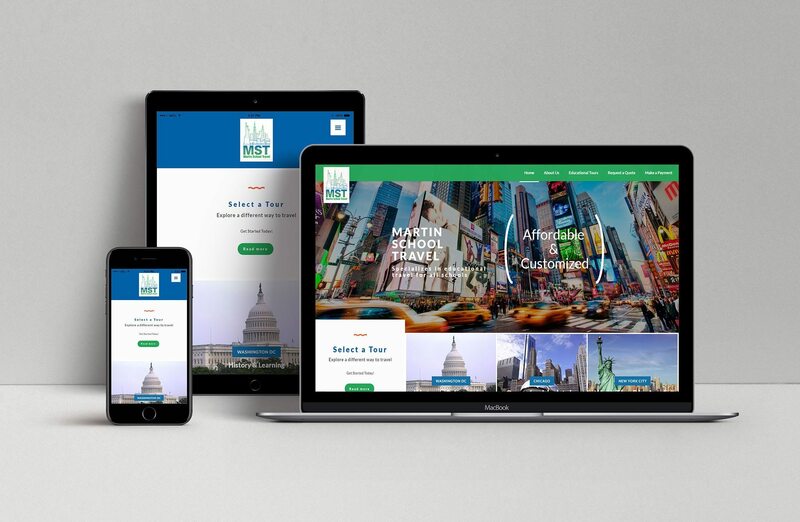 There is even a request-a-quote form sitting on the homepage so users can interact with the site from the moment they visit it. The site and SEO work we’ve done have been incredibly successful, and Scruples now gets 3-5 qualified leads a week on average. A list of services sits on the homepage below the header image. This lets users immediately see what Scruples can offer them. 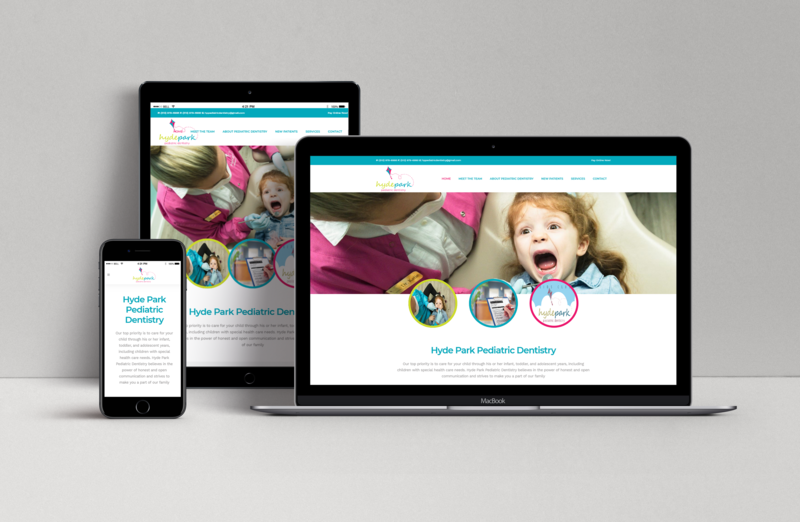 Icons and links to each service’s dedicated page make it easy for users to get more information if they want it. Further down the page, there is a request-a-quote form. One of the most important things to a cleaning service is trust. After all, cleaning services typically only enter the building after everyone else has left. So, we created a testimonials page where past clients could talk about how satisfied they were with Scruples’ service. This builds trust with potential customers and encourages them to try Scruples for themselves. “Request a Quote” is one of the menu items that sits on the omnipresent navigation bar. That way, users are constantly reminded that they can get a free quote from Scruples, risk free. This encourages clients to interact with Scruples and helps them get business.